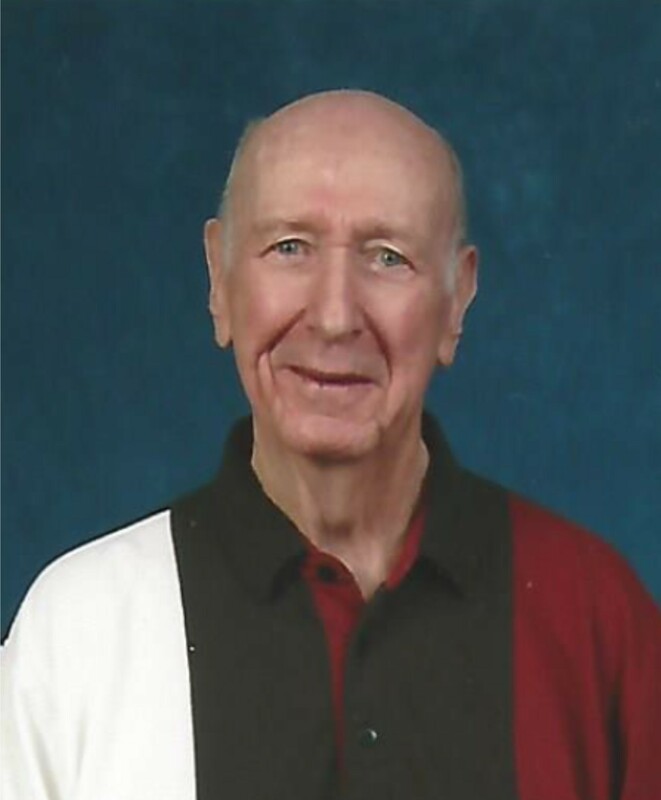 Age 96 of Chardon Twp., died November 29, 2018 at Blossom Hill Care Center, Huntsburg Twp. Born in Cleveland December 21, 1921 to Crawford and Elsie (nee: Watson) Gordon, he came to Hambden Twp. 20 years ago from Maple Hts. He worked in sales for Forest City Products and B&B Products. Jim and his wife, Doris, very much enjoyed Square Dancing, Round Dancing and Line Dancing. He enjoyed woodworking and stained glass. He proudly served in the US Navy during World War II. Jim is survived by his daughters Janice “Jan” (Joe) Began of Chester Twp. and Nancy (Walt) Lorenz of Chardon Twp., grandchildren Lora Kennedy of Hambden Twp., Lisa (Todd) Nelson of Huntsburg Twp., Scott Kennedy of Madison and Tracy (Michael) McDaniel of VA and great grandchildren Ryan and Justin Nelson, Emily (Joe) Saylor, Corbin Kennedy, Taylor McDaniel and great great grandson, Garrison. He was preceded in death by his Wife, Doris M. Gordon (nee: Castella), whom he married February 24, 1945 in 2016, his parents and his brother Crawford E Gordon, Jr. The family will receive friends on Sunday, December 2, 2018 from 4:00 – 7:00 PM at the Burr Funeral Home, 116 South St., Chardon. A funeral service will be held Monday at 11:00 AM at the funeral home, with burial immediately following at Larned Cemetery in Chardon Twp. In lieu of flowers, the family suggests donations to Chardon United Methodist Church, 515 North St., Chardon, 44024 or a charity of your choice. The family would like to extend their thanks and gratitude to the staff at Blossom Hill Care Center. Mr. Gordon's smile made many of my days! It was honor being part of his care. Love and condolences to his wonderful, loving, devoted daughters. Mr. Gordan was a remarkable man in so many ways. Knowing him for 48 years, he always showed his never-ending love to his wife and daughters - and was a substitute Dad to me. I know the angels are singing to welcome him "home".